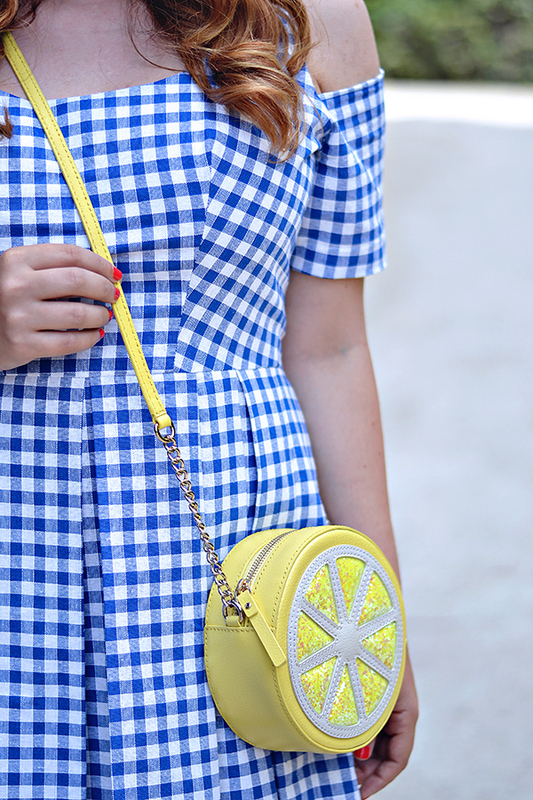 Nothing feels more like summer than a bright navy gingham dress and a lemon purse! Am I right? 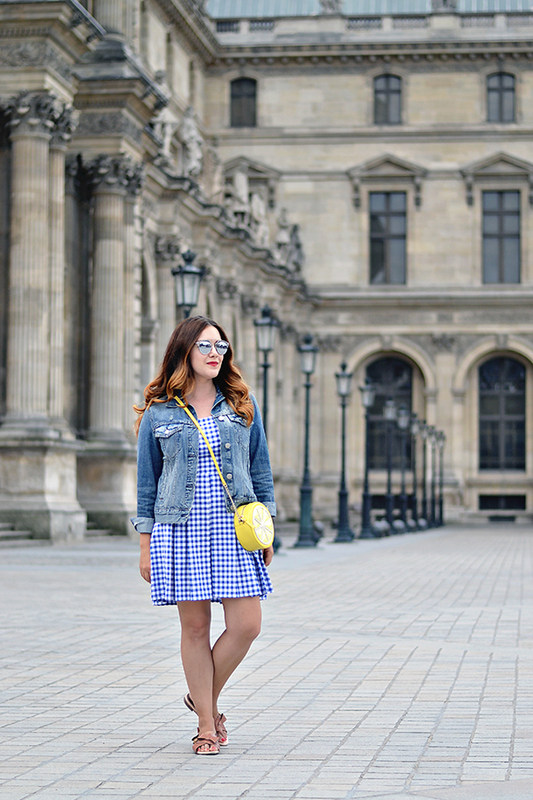 My incredible friend Jen made this adorable navy gingham dress for me just before I left for Paris. She made the mistake of taking me along with her to the fabric store one day. I spotted this fabric and knew I needed a gingham dress in my life! After a little begging, she said she had just the design for it. I love the cut outs on the shoulders, which are perfect for summer (although Paris was unseasonable chilly). We also have plans to add bows to the shoulders, but ran out of time before I left. I am really into gingham right now, as is evident here and here. It is a timeless, yet fresh and fun, pattern that mixes easily with solids, florals, and other patterns (if you dare!). 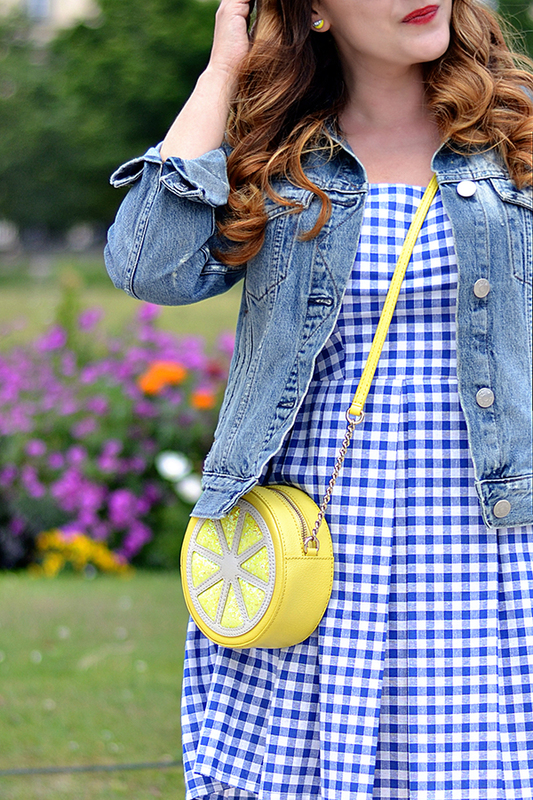 And don't even get me started on this lemon bag, I am obsessed. My lovely family brought it to me from home after I scored it in the last Kate Spade surprise sale, along with matching earrings of course.